The mayor and labor leaders are rallying to move the Convention Center measure they jointly negotiated with business leaders to the March 2020 ballot, instead of putting it before voters in November 2020. But activists and one city councilman are working hard to thwart that plan. San Diego Mayor Kevin Faulconer has no higher priority than to expand the Convention Center. But, once again, the effort may be heading toward a stumble. The ballot measure that would raise hotel-room taxes to fund the Convention Center expansion, homeless services and road repairs has already qualified for the November 2020 ballot. But on April 15, the mayor wants the City Council to put it on the March 2020 ballot. Several groups are eyeing the November 2020 ballot for other measures to raise taxes and all of them, including the mayor’s office, are concerned too many measures on one ballot would mean bad fortunes for all of them. What’s more, supporters of the Convention Center measure believe they have a window to pass the initiative with just a simple majority of voter support – a window that could be closing soon. The mayor and labor leaders have thus rallied to move the Convention Center measure they jointly negotiated with business leaders to the March 2020 ballot, when voters will be considering presidential primary candidates. But now activists and one city councilman are working hard to thwart that plan. 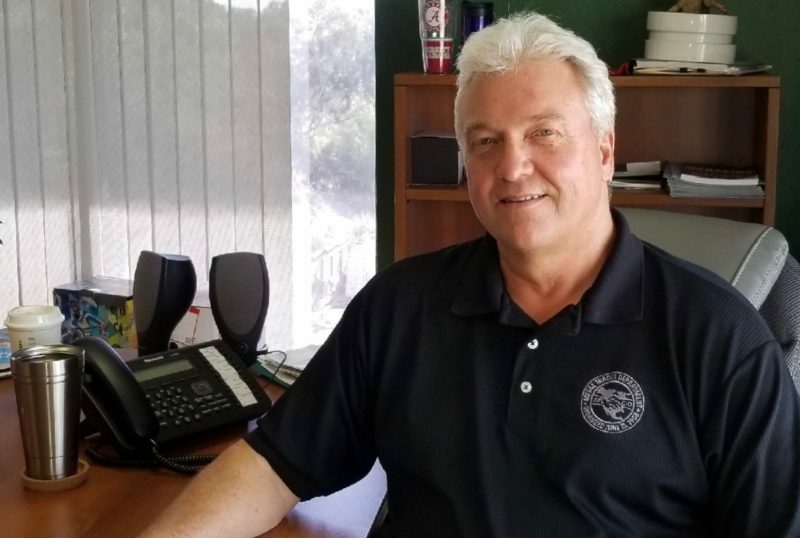 “I do not support it going on the March 2020 ballot,” City Councilman Chris Ward said Thursday, during a taping of the Voice of San Diego podcast. He said he would potentially support an alternative initiative to raise hotel room taxes on the November ballot as well. Ward echoed activist groups who are invoking 2016’s Measure L, which mandated the city put initiatives on November general election ballots, unless they specifically choose not to. Ward said 73 percent of his constituents supported Measure L.
“I’m not going to fundamentally take an initiative that was purportedly designed by a couple of interested groups and usurp the interests of the voters by advancing that to a different election cycle where fewer voters participate,” he said. Ward’s move goes against the interests of organized labor. The San Diego-Imperial Counties Labor Council has joined the mayor in rallying their respective allies to support the move to the March 2020 ballot. Carol Kim, the political director of the Building Trades Council, an alliance of construction unions, said her group also supports the move to March 2020. Andrea Guerrero, the leader of the social justice group Alliance San Diego, said the Labor Council had invited her organization to do naturalization work with union members who were not citizens. She said that invitation has been revoked as labor marshals its allies to support moving the ballot initiative that would raise hotel taxes for an expansion of the Convention Center to the March 2020 ballot. Guerrero said the Labor Council had embarked on a “scorched-earth campaign” to make it happen. The push to move the measure to March is quickly becoming the next test of the beleaguered campaign to expand the Convention Center, and it has split the left. Labor leaders, once somewhat ambivalent about the Convention Center – long seen as Faulconer’s top priority – have made it one of their top goals for local government as well. At the same time, activists, Alliance San Diego included, are fighting hard against moving the vote to March. Alliance San Diego sent a letter to members of the City Council, imploring them not to move the initiative to March. They want to protect what they say is the spirit of the 2016 ballot initiative Measure L, which says initiatives should always go on November general election ballots. Keith Maddox, the executive secretary-treasurer of the Labor Council, sent out an email asking allies not to sign Alliance’s letter. Labor leaders supported Measure L but the ballot in November 2020 could be jammed with other initiatives. The more measures to increase taxes there are, the less likely any one of them is to pass. Maddox said the Convention Center initiative has become the most important policy issue for him. “That initiative is critically important to the future of San Diego both because of the jobs it creates and for homeless and housing issues. We can’t address these issues without resources to do it. There’s nothing out there that compares. It’s urgency as much as anything for me,” he said. He said that he was disappointed Guerrero would criticize his effort. “I’m surprised Andrea would choose to air our differences in public,” he said. “I disagree with her and she opposes what I think is the biggest priority for our labor movement, which we have been working on for a year. I asked our friends not to join in with that effort against it. If that’s scorched earth, then I guess yeah, it’s scorched earth,” he said. Guerrero was one of the main supporters of Measure L in 2016. It was an effort, along with two others in the county in recent years, to ensure the biggest electoral contests and campaigns be decided in November general elections. Maddox, Kim and the mayor’s staff all point out that Measure L gives the City Council the express right to put something on a different ballot if they want to. Guerrero said that should happen only in special circumstances. “We didn’t run a million-dollar campaign to give the City Council the exact power they had before,” Guerrero said. She said all the reasons people cite for wanting to move the Convention Center vote to March 2020 are for political strategy and expedience. Only a true emergency should qualify, she said. She passed along a 2017 letter several unions signed onto arguing against a special election on the same issue. “The voters agreed that it was not in the city’s best interest to decide on the big issues when the fewest people turn out; that just gives special interests more influence,” the letter reads. “Labor’s flip on this is about labor’s priorities, not about the public’s interest or what voters wanted,” Guerrero said. It seems clear the city is within its legal right to move the initiative to the March 2020 ballot, which makes this a political argument. Ward’s defiance is not enough to stop the push to March 2020 alone. But he was considered a solid supporter of the measure. The Convention Center is in his district. 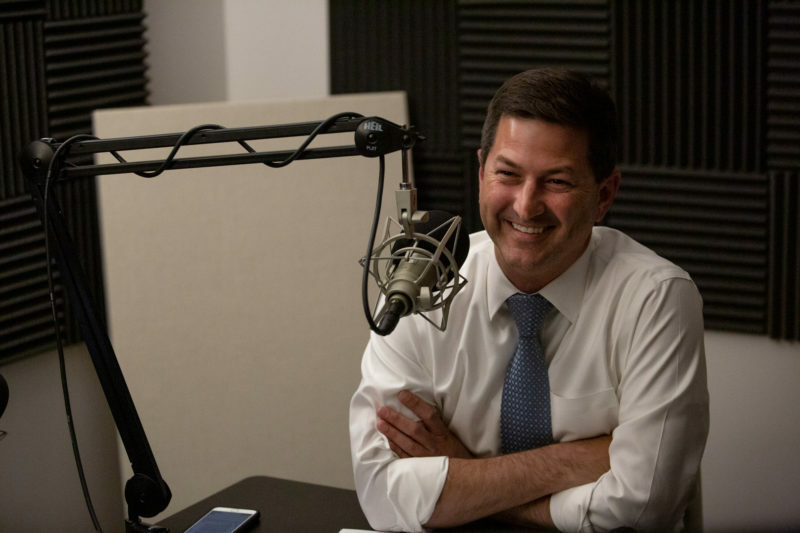 In addition to his opposition to moving the initiative to March 2020, Ward also thinks a different ballot measure should move forward. It would raise the hotel-room tax generally and thus only need support from 50 percent of voters. Separately, the City Council could say how it thinks it should spend that money in a non binding measure. Ward said that and the mayor’s preferred plan could compete on the November 2020 ballot. The Council’s three Republicans are likely to support the mayor’s preference and have gone out of their way to do that in the past. That means they only need two more votes to make the switch to the March 2020 ballot. That leaves it largely up to Council President Georgette Gomez. Gomez is also the chair of the Metropolitan Transit System, which is considering putting up a ballot measure of its own to support investments in public transit. That’s one of the measures that people were worried may suffer if too many tax increases are on the November 2020 ballot. Gomez’s representative would only confirm that she put the change to the March 2020 ballot on the April 15 City Council docket. She would not say whether Gomez supports the change. Correction: An earlier version of this post misstated the number of Republicans on the City Council. There are three.